Civic Engagement: Putting into Practice What Attorney Landau Teaches - Abrams Landau, Ltd.
What is civic engagement? What constitutes being a good citizen of the United States of America? What can ordinary citizens do in furtherance of their government? These are the kinds of questions that are discussed when attorney Doug Landau goes to Rachel Carson Middle School as a volunteer coach for We the People. The program teaches eighth graders about the U.S. Constitution, how our government is set up and more. 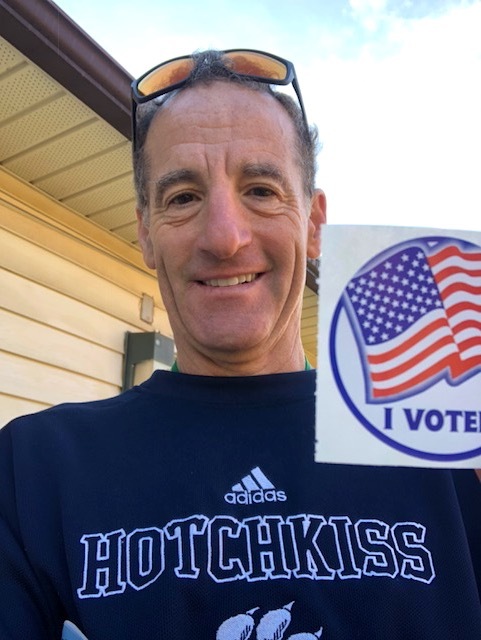 After voting at the Fox Mill Elementary School in Oak Hill, Virginia the day after putting helmets on every sixth grader at Hutchison Elementary School, Doug Landau proudly shows his “I voted” sticker in order to encourage others to exercise this important constitutional right and civic duty. But how does one fulfill the duties of good citizenship? Landau emphasizes the importance of participating in the judicial system by serving on a jury. The eighth grade class also discusses such elements as paying taxes, serving in the military, running for public office, volunteering and, of course, voting. 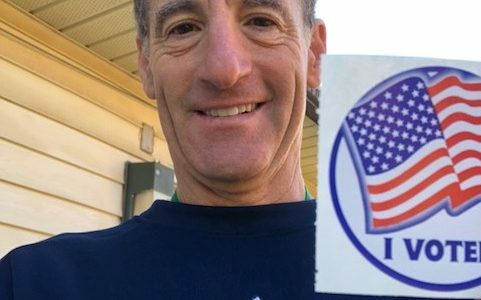 A number of students in Landau’s class over the years have been shocked by how few Americans exercise their right to vote. 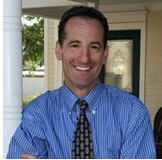 Many of his students hail from countries all over the world and Landau has learned numerous things from them. He learned some countries give a tax deduction for citizens to vote, while others are required to vote by the totalitarian regime that runs the country. And yet others shared with Landau the fact that no female member of their family had ever voted in their home county as there are still nations that have not given the right to vote to women! Landau tries to teach by example, and so sharing with his students that he vote regularly, volunteers to be the counter, teaches in Fairfax County and Loudoun County public schools and that he he has a son in the military—who is currently serving as battalion surgeon with the Marines—enables this lawyer to walk the walk and not just talk the talk. Landau has long advocated that there should be a national holiday for major election days and that election should be more frequent so that the will of the people may be more precisely revealed. And, registering to vote should be automatic when you get your driver’s license, passport or other state, local or federal paperwork.